I want to remember reading John Szarkowski saying something about Atget know when was best to photograph certain places—the time of year when the trees first start budding, but still allow the light to fully illuminate the scene. I am probably wrong about the direct quote, but that idea has always been in my mind. 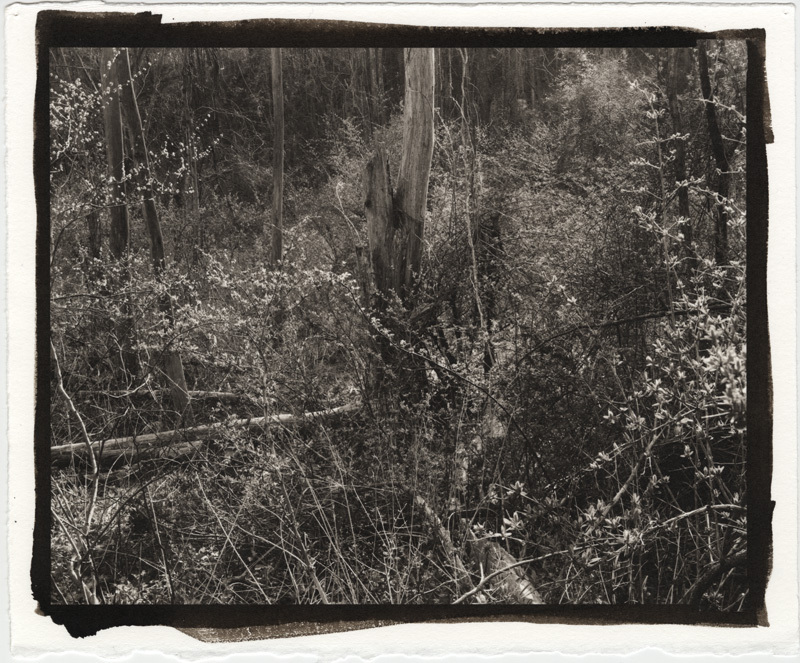 The print is an 8x10-inch contact print in platinum/paladium. I have been trying to get the process to work with how I like my prints. Nice rich blacks with no blocking up in the subtle light and dark tones. Something not so easily done, but some negatives are worth the trouble. Making a contact print on Azo that would do all that in 1/10th of the time spent in the darkroom and with 1/10th of the expense, but there is something about the alchemy of platinum process that I love. The coating of the paper and watching it instantly appear in a flash in the developer. But it is the overall simplicity of the process—raw chemistry and light—that has made me keep going with it.